The ultimate Tool for the craftsman and home hobby shop. It's actually two tools packed into one design. Even better, the SB-2IN1 tool requires no adjustment to switch from brads to staples and vise-versa. 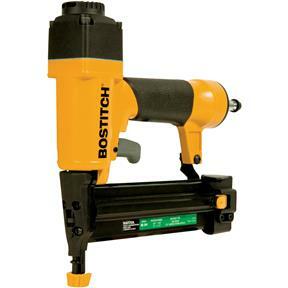 When used as a brad nailer, the SB-2IN1 drives 18-gauge brads between 5/8" and 1-5/8" long. As a narrow crown stapler, the tool drives 7/32-inch crown staples between 1/2" and 1-1/2" long. Its adjustable depth guide sets fasteners to desired depths quickly and conveniently while a tool-free adjustable exhaust directs exhaust away from the user. 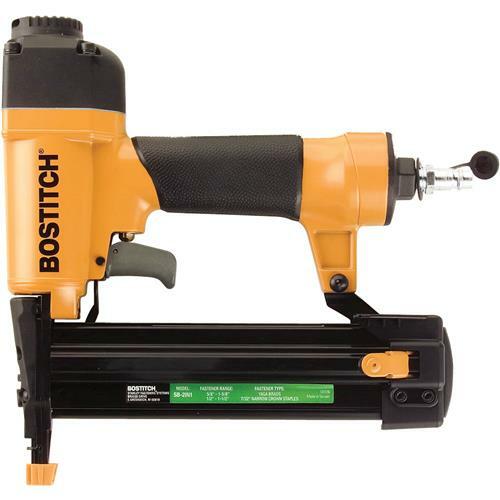 Includes: nailer/stapler, 1/4" inch coupler, 1000-pack of brads, 1000-pack of staples, hex wrench, non-marring tip, convenient carrying case; and oil.